Heeft u een vraag voor Winston Hotel? Gelegen in Pasay is Winston Hotel de perfecte keuze voor reizigers die Manila en omgeving willen bekijken. Het hotel ligt slechts 5.3 Km van het stadscentrum: lokale bezienswaardigheden zijn dus snel te bereiken. Dankzij de praktische locatie liggen alle belangrijke trekpleisters in de buurt van het hotel. Het Winston Hotel biedt een onberispelijke service en alle essentiële voorzieningen om reizigers een plezierig verblijf te bieden. Enkele voorbeelden van faciliteiten die dit hotel biedt zijn 24-uur roomservice, gratis wi-fi in alle kamers, 24-uur beveiliging, wi-fi in openbare ruimtes, parkeerplaats. Gasten kunnen kiezen uit 81 kamers, stuk voor stuk plezierig en comfortabel ingericht. Daarnaast garanderen de talrijke recreatieve mogelijkheden dat u zich tijdens uw verblijf kunt vermaken in het hotel. Ontdek een boeiende mix van professionele dienstverlening en een breed scala aan faciliteiten in het Winston Hotel. Het hotel heeft geen lobby noch een front desk. Inchecken in inschrijven gebeurt op de kamer. Houd de hotelvoucher klaar om te tonen om vertraging bij het inchecken te vermijden. Eenvoudig hotel wat waar maakt wat zij beloven. Gedateerd maar schoon.Internet op kamer en een lekkere warme douche Goed voor 1 of 2 nachten. Geen ontbijt. Mc. Donald ontbijt is bij ingang metro 24/7.Metro 3 minuten lopen. Met de jeepney in 15 min naar M.o.A. In 20 minuten s,ochtends vroeg naar Terminal 3 met taxi. Sommige reacties waren negatief over de omgeving.Hier ben ik het niet mee eens. Het is wel Manila, druk en chaotisch.Maar ik voel me beslist niet onveilig daar. Was er goed. Maar de kamer heel slecht verlicht. Was er echt donker. Voor de rest voor een nacht Ok.
Great location if you are the type to be near the mall and this place is located just 10 min or less from Mall of Asia. Jolibee restaurant is near by less than 5 min walking distance and a convenience store 711 and other small stores near by. It's not a beautiful looking place but the room is clean and cozy as well as having a quick and great service by the staff. It is relatively safe, as a traveler I have not come across any issues near by but I do recommend not to go out at night by yourself as there are many people of all sorts that roam the area and if you find a partner to walk with you can enjoy street foods. I checked in here multiple times short stay and maximum 5 days. I enjoy it here and the staff know me everytime I check in. Thank you very much for your wonderful feedback. I was surprised. Winston hotel room was very nice .. clean and simple with classy style .. the staff are friendly .. This hotel is more like a compound in a very seedy area of town. But security is good, with entrances well controlled by staff. The room was clean and comfortable. My biggest complaint is the air conditioner was very noisy even on low cool. And for whatever reason, there was no top sheet on the otherwise comfortable bed....just a blanket. Maybe this is a Philippine thing: only one sheet per bed. The staff did give me a second sheet when I asked. Overall, the hotel served my temporary needs very well. 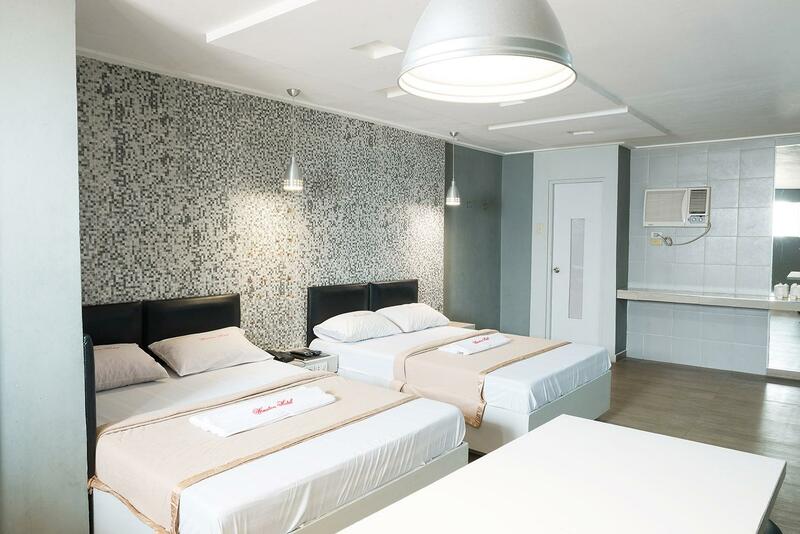 This hotel is close to the airport and mall of Asia ,m close to downtown or up town in walking distance of the rail and lot of street transportation there. The rooms are big good Air Con and hot shower. good bed and security is supper. this is where i stay every time i'am in Manila .This time there was a small problem the room smelled of smoke. I ask for another room but they came and changed the bedding and sprayed the room this was no help so I ask again to change rooms and they changed changed the room this time. Next time I will make sure the front desk has non smoking rooms. It was a pleasant stay; all in all good value for money. Only downside was the lack of lifts in a multi-storey hotel. However, the staff were very keen to help with luggage up and down the stairs at any time. 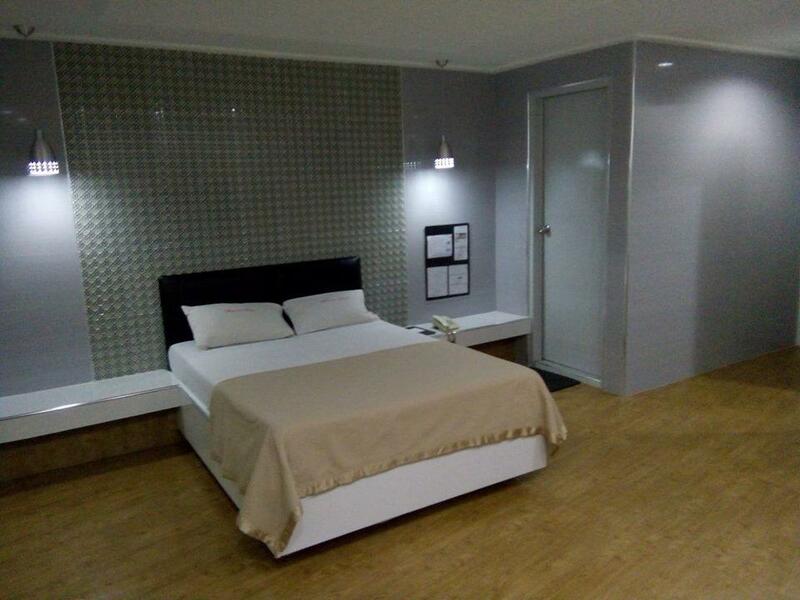 This is the hotel of choice for short stays in manila close to the airport with good cheap airport shuttle. rooms ate large has cold air con an hot showers. good bed an pillows. I have stayed at this hotel for years great value. Untrained staff. They need additional training oil the areas of COURTESY, DISCIPLINE. Facilities. Dirty on most area - sewer, plumbing. They need to re-assess plumbing. Noticed the smell of unpleasant odor that is coming from sewer. Thank you for your feedback Sir. Rest assured that we will double up our effort to provide better services. fantastic,everything you can get in this location. It was noisy and we had plumbing issues in the bathroom. To be fair, the maintenance team arrived within 10 minutes after we informed Reception. It was handy that the hotel has a car service that can take you anywhere you want to go, but it’s not free.